Reborn for a new generation – and very much the modern classic of choice – the 1200cc Bonneville T120 is a Triumph legend, with its stunning fusion of authentic British design and modern performance which combines iconic classic styling, 21st century power, engineering, and technology. Now, to celebrate 60 years of Bonneville motorcycles, a unique limited edition version of this style icon is available. With a beautiful ‘White and Silver’ Union Flag paint scheme, a range of carefully selected high value chrome details, and a numbered certificate signed by Triumph CEO Nick Bloor, only 900 Bonneville T120 Diamond Edition motorcycles will ever be built; each unique model representing an unmissable new step in the Bonneville T120’s historic bloodline. 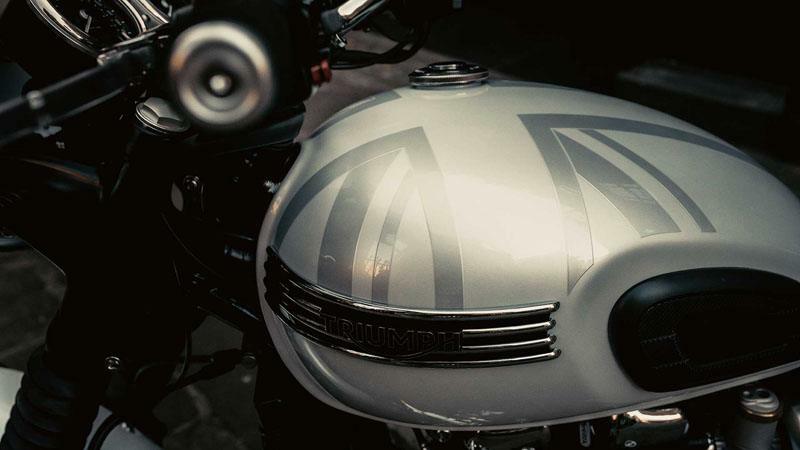 Packed with premium finishes, most eye-catching of all is the Diamond Edition’s beautiful and unique high value bespoke ‘White & Silver’ Union Flag paint scheme. 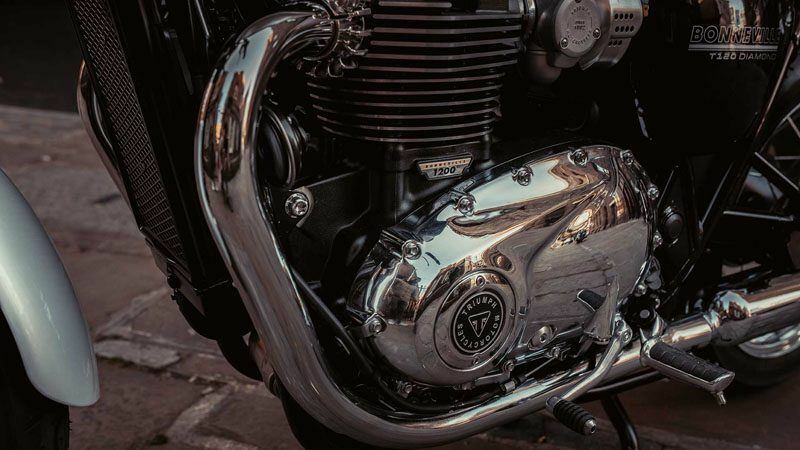 This is complemented by an exclusive logo and unique side panel graphic along with dedicated premium chrome detailing. 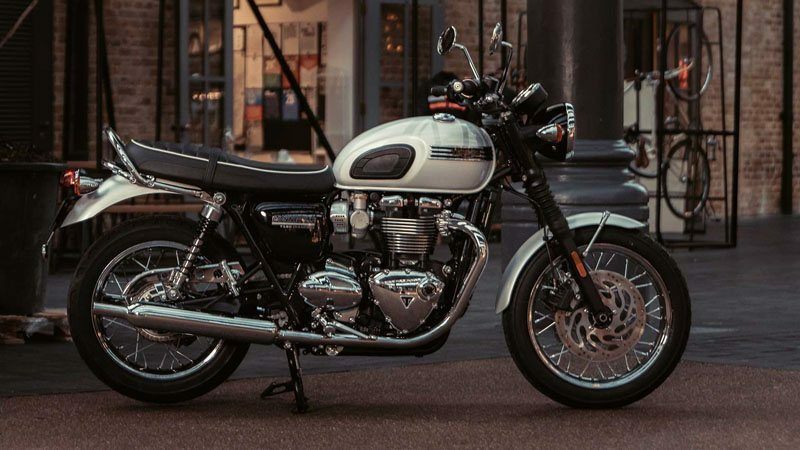 For the first time since the iconic Thunderbirds of the 1950s, the T120 Diamond Edition features a four-bar Triumph badge. 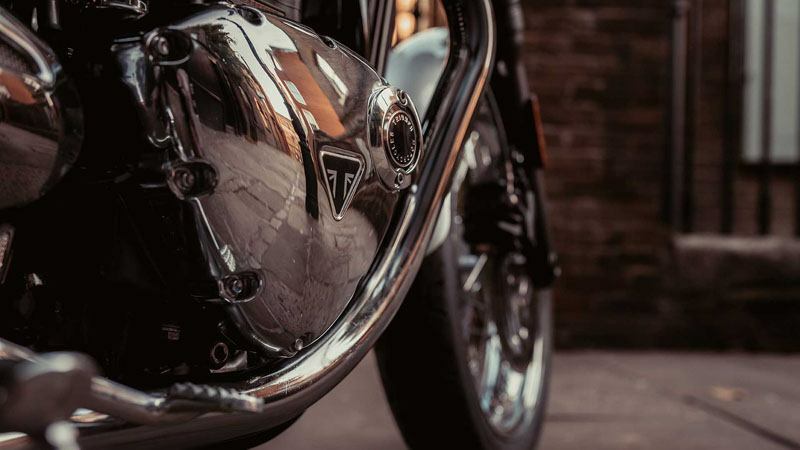 Additional detailing including polished chrome chain guard, engine cases, and badges continue the premium feel of this limited edition motorbike. 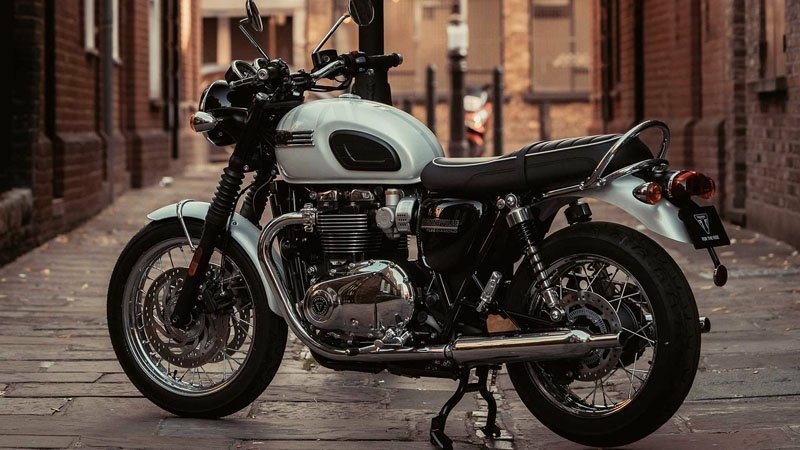 The production run for the Bonneville T120 Diamond Edition is limited to 900, and comes with a numbered certificate, signed by Triumph Motorcycles CEO Nick Bloor; a collector’s item in itself. 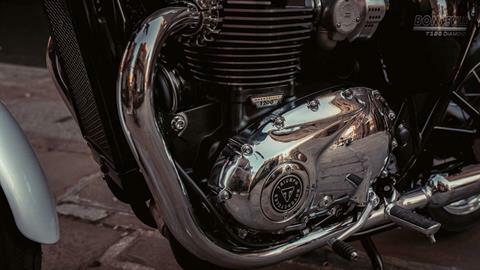 LCD multi-functional instrument pack with analogue speedometer, analogue tachometer, gear position indicator, fuel gauge, range to empty indication, service indicator, clock, trip computer, scroll and mode buttons on handlebars, heated grip status, fuel consumption display, traction control status and throttle mode display.